A WHOLE HEAPIN' LOT - that's what!!! I missed last month's nightstand because I was in NYC with Jennifer - preparing to bury my "nightstand" under a new stack of books. Now I'm home again and, I have to say, becoming a bit overwhelmed at the sheer quantity of books that there are to read in this world (and, more to the point, on my nightstand.) I think this month's Nightstand post calls for a picture. 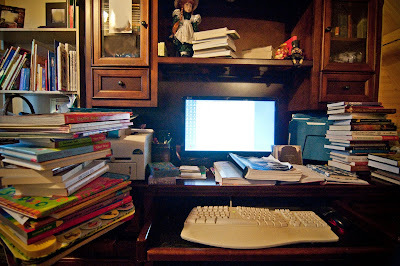 This, my friends, is my desk where I blog to you from. Yes, that's right - I blog to you when I can find a place to sit down and find the keyboard to type on, that is. One day soon it will return to the neat and tidy stack that it usually is. The Book Expo just caused a "minor" explosion - that's all. I am not bored these days. Overwhelmed, perhaps, but definitely not bored. Even with all of this though - I'm really getting excited about The Chronicles of Narnia Reading Challenge which I'm hosting here during the month of July. I'm going to spend this next month re-reading The Voyage of the Dawn Treader (linked to my earlier review of the book) and comparing it/gleaning from it while reading Proverbs alongside. 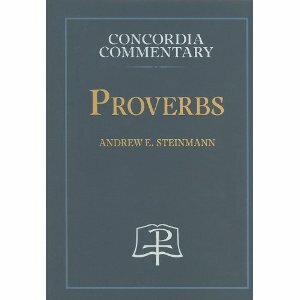 I'm going to be using a new resource from Concordia Publishing -Proverbs: a Theological Exposition of Sacred Scripture . I believe that there is much to be drawn out of the Narnia stories and I want to see how it lines up with the wisdom book in scripture. I think this is the perfect title from the Narnia series to do this with. And, I confess, I want to make sure I re-read this particular story before The Dawn Treader movie (click on the link to see the trailer!) comes out this December! Part of the fun of going to Narnia is to go with others. I'd love to drag as many of you along with me as I go, so if you want to learn more you can check out yesterday's post on the Narnia Reading Challenge to find out more about that! And with that - I'm off to check out what's on everyone else's nightstands this month! I'm overwhelmed by my stack of books, too, especially since I've started adding Kindle books as well. So little time for so many books. And now I want to do your Narnia challenge! I've already committed to re-reading Voyage of the Dawn Treader before the movie comes out. Love the book stacks! Stacks of books excite me--I love always having lots of options to choose from for my next read. Wow!! That is a lot of books! I have a few piles like that going on right now ... only my piles are laundry. I think stacks of books are lots more fun!! Wow! That's quite a full desk. I love it when other people show pictures of their messy desks--it gives me hope that I'm normal. Nevertheless, I'm not about to change my habit of making my desk all neat and tidy before my nightstand post--that's the one thing that ensures that my desk does get tidy at least once a month! I actually love the pic of your desk---It looks very similar to my own! Stacks of books have been reduced greatly around here since my son got his very own bookshelf in his room. I have one whole shelf in one of my bookcases dedicated to his books from when he was a little guy, but he needed something for all the books he reads now! I think Dawn Treader is my favorite...that and Last Battle! 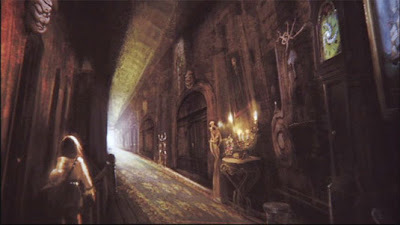 I'm going to check out the Narnia challenge...cuz I need more to add to my to-read list, LOL! I do love Narnia, though. I just finished teaching a junior high lit class on the series this past year at our homeschool co-op and it was a blast! Love Proverbs too...like the looks of that title! HOLY COW that's a book pile! Love the pic-- makes me feel comforted. :) BEA sure provided for a ton of reading, huh? 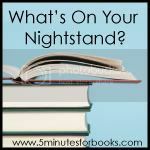 I keep forgetting the nightstand post is the 4th Tuesday rather than the last Tuesday -- I was thinking it was this week. I think I'll skip, though, since I already have a post up today and I just listed my Spring Reading Thing wrap-up Monday -- it would be kind of redundant. I have stacks of books all over the place, double rows in some places, on my bookshelves. Holy Cow those are a lot of books. :) I am super psyched about your Narnia challenge. I do have a question - what early readers did you get of the Narnia series? I have never seen any and I have had no luck goggling them. I read a lot of the Narnia books to the girls years ago, and remember the Dawn Treader standing out because of the "journey" theme it had - sounds fascinating to study it alongside Proverbs! A large "to read" list starts making me a bit antsy as well. Now also, my girls are recommending I read almost everything they do. There just aren't enough hours in the day! WOW! I don't feel so bad about my pile! :) Happy reading this summer. Love all your piles of books! I have more room than books currently, and it's *so* tempting to spend. But, I have more than I can read, and I should continue to utilize the library as I can!